Warning: Habits May Be Good For You highlights the anthropologist Val Curtis’ work to synthesize anthropology, public health, and consumer behavior. 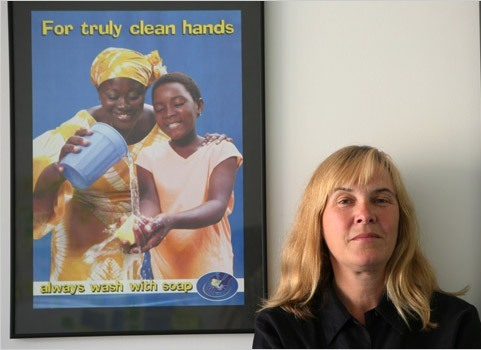 She has a simple problem, how to teach children in sub-Saharan Africa to habitually wash their hands, thus lowering significantly the risk of many diseases. As Charles Duhigg writes, Curtis turned to consumer-goods companies for insight into her work. Here we have cues, meaning (doing a good job), specific contexts, business and more, all wrapped up in one. Proctor & Gamble have a pragmatic knowledge of what works and what does not. While still not an explanation for habitual behavior, it does prove useful in applied anthropology. Val Curtis saw potential for this sort of approach, for trying to generate habits that would lead to public health outcomes rather than for-profit behavior change. The situation she confronted was not one of lack of resources or lack of cultural knowledge—providing more soap or educating them about germs were not the best solutions. Rather, it was taking advantage of what was already there. In other words, changing a proximate behavior was the key to getting a larger outcome. The process mattered. Not changing the genetics, psychology, economics, or culture. The one-cause approach did not prove useful in trying to design an effective campaign. Instead, Val Curtis, as she argues in a recent article, focuses on behaviors and emotions in context and how those get connected into belief systems—biological anthropology and cultural anthropology need to work together. Here at Neuroanthropology, Greg has addressed how understanding behavior, particularly skilled, habitual actions, can lead to improvements in physical education and in preventing falls in elderly people. I have not spoken much here about how this sort of approach applies to addiction (it does! ), but certainly compulsive substance abuse represents a cycle of behaviors and experiences that proves very difficult to break (especially when reinforced by inequality). However, I did lay out some larger patterns in globalization in Cellphones Save the World, and habits represent one major proximate (or everyday) aspect of those people-driven processes. And for those of you wondering about the ethics of such a move, there is an interesting debate among readers over at the Economist’s View about the Duhigg article. Greg, in providing his own take on the article, speaks of his “ethical vertigo” in the switches back and forth between marketing “new needs” and public health campaigns. My off-the-cuff take? These techniques are already being used against us. Why don’t we put them to use in some more positive ways? There are some major public health problems out there, and changing laws and raising awareness and all the other rationally-derived approaches have not had as much impact as we might hope. The habit approach might prove more effective. This entry was posted in Applied Anthropology, Decision Making, Education, Medical anthropology, Psychological anthropology, Skill acquisition. Bookmark the permalink.